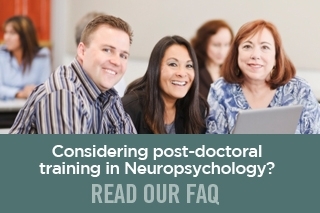 The mission of the Association of Postdoctoral Programs in Clinical Neuropsychology (APPCN) is to offer the highest quality competency-based residency training in clinical neuropsychology with an emphasis on preparation for future specialty board certification though the American Board of Professional Psychology/American Board of Clinical Neuropsychology (ABPP/ABCN). APPCN specifies a unified competency-based curriculum for residency training programs in clinical neuropsychology. 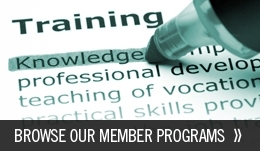 APPCN offers unique and specific resources to APPCN member programs and trainees that support professional development, as well as the competent and ethical practice of clinical neuropsychology. APPCN provides a national match process to facilitate the application and interviewing process for postdoctoral training in clinical neuropsychology. APPCN is committed to maintaining both an awareness of and response to issues that impact residency training in clinical neuropsychology. APPCN embraces the Houston Guidelines as a model for training in clinical neuropsychology. APPCN views the American Board of Professional Psychology diploma in Clinical Neuropsychology (ABPP-CN) as the clearest demonstration of peer-reviewed competence to practice clinical neuropsychology. APPCN Member Programs commit to a curriculum, training resources, and training opportunities that support APPCN graduates in their pursuit of ABPP-CN.